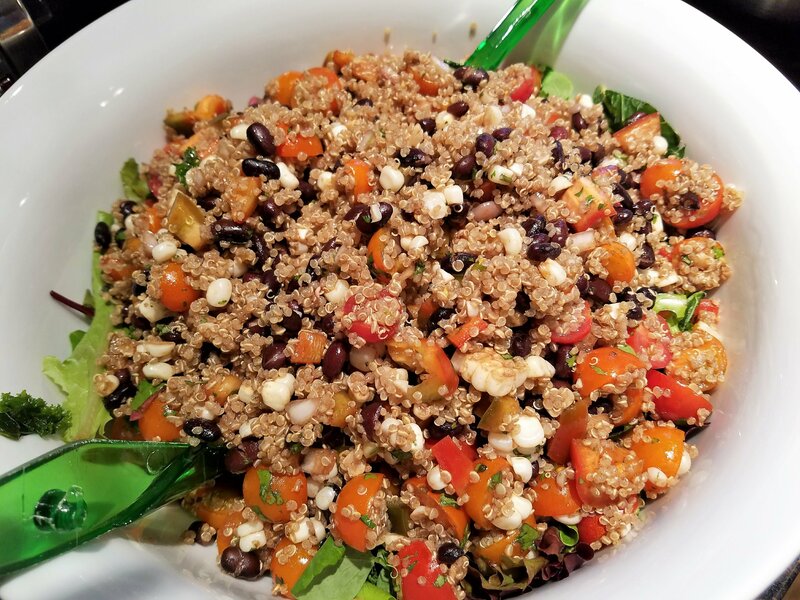 Combine tomatoes, corn, peppers, herbs, black beans, and quinoa in a large bowl. In a separate bowl, whisk together olive oil, vinegar or lime juice, and garlic. Pour dressing over salad. Salt and pepper to taste. Toss gently and serve over greens, if desired. Enjoy!